It's simple to invest in Series I savings bonds — here are 4 easy ways to get started. Once you do, you can start earning interest income on your bond investments in no time. 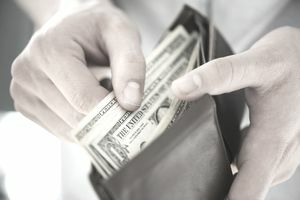 It is important to note that as you are limited to the total amount you can invest in Series I savings bonds by the way you purchase each bond, you can buy up to $5,000 in physical paper certificates and $5,000 in electronically registered bonds through the TreasuryDirect program, or $10,000 total, each year. The United States Treasury Department has its own online account system called TreasuryDirect. Opening an account with TreasuryDirect is just like opening a checking or savings account at your local bank. Once you've been approved, you can begin buying Series I savings bonds immediately. The savings bonds are issued directly to your account in electronic format (you won't receive a paper bond certificate using this method of investing in I bonds). A big benefit of this method is that you can invest any amount you want of $25 or more, to the penny, into Series I bonds. That means if you have $87.23, you can put it to work instead of having to buy only $50 or $100 bonds. For small investors, this is a great benefit that makes saving or investing easier. It also makes it much easier to follow a dollar cost averaging program because you can instruct the system to automatically make investments for you and regular intervals. Most local banks sell Series I savings bonds on behalf of the Treasury. You can walk through the doors, go up to the teller, and say you would like to buy an I bond; they will point you in the right direction. The Series I bonds are issued at face value; e.g., a $50 bond cost you $50. After you've paid for your bond and filled out the ownership information, you'll receive the printed saving bond certificate in the mail within 15 business days. Depending upon the sophistication of your financial institution, you may be able to purchase Series I savings bonds through the bank's online site, saving you a trip to the local branch. When you purchase Series I savings bonds online, you should receive the paper bond certificates within 15 business days. The bonds are issued by the United States Treasury and arrive through the mail. Some employers have created payroll savings plans that allow you to invest in Series I savings bonds through regular payroll deductions. By not seeing the money, you are effectively following the pay yourself first strategy.